B2B Marketing's Ignite 2017 is the flagship event we’ve been waiting for all year and it certainly didn’t disappoint. Why? Well, apart from the fact there was raspberry mojito ice cream, a candy floss maker and G&T flavoured sorbet (I know, incredible, right? ), delegates were enthusiastic and speakers were on brilliant form. Here are our key takeaways from the day. 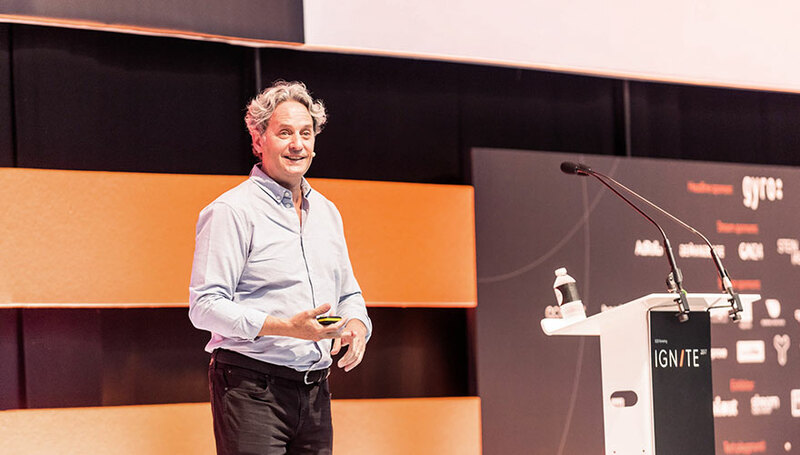 In a charming and riotously funny closing keynote from Velocity Partners’ co-founder and creative director Doug Kessler, we were told how content marketing has enabled marketers to deliver value, rather than interrupt it (in the same way that a TV ad might interrupt a great TV show). Content marketing used to defy conventions... but those conventions have re-emerged because it's become an increasingly mainstream tactic for marketers. The only way to move forward is to defy conventions, according to Doug. He recommends that brands should openly recognise the weaknesses of their products, live and breathe data (but still follow their hearts), and show off the geeks in their company who are truly passionate about what they do. A bid is when you respond to a known sales opportunity via a submissions process that’s time-constrained, governed and structured. But the best way to win a bid is to make sure it doesn't get to a bid stage, according to Russ Powell, marketing manager at Atos. Work with existing customers, he says, and seize the opportunity before it becomes a bid – this reverses the need for the customer to go external. A winning brand strategy shouldn’t just be the responsibility of the brand marketing team; it should encompass the whole company, according to Claire Savage, head of brand marketing at Ordnance Survey. And for that strategy to be successful, you need to understand the organisation, environment and operating scenarios you’re working with. You’ll also need to create a strategy and framework you can pin yourself to. As Spencer Waldron, european regional director at Prezi, told us, Aristotle defined rhetoric as "the art of seeing available means of persuasion". And the three things that underpin effective persuasion skills are: ethos (credibility), logos (logic and reason) and pathos (emotion). Most of us make decisions based on emotions and justify those with logic and reason. But effective strategies that marketers can use to be more persuasive include using the ‘rule of three’ (the grouping of three words together to make them more memorable), using two opposing statements together to make them more powerful, storytelling and metaphors. 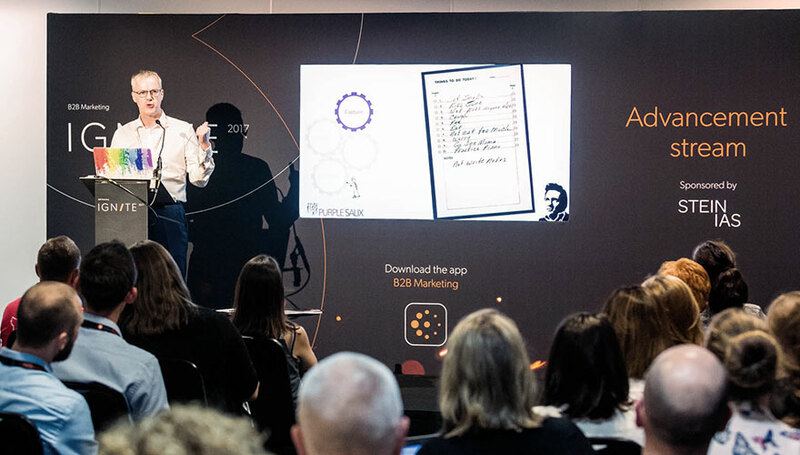 This ‘Advancement’ session, delivered by Purple Salix marketing director and founder Pete Jakob, highlighted that the majority of us find it challenging to make the right choices throughout our working day, because once we've arrived at work and checked our emails, the day can easily spin out of control. Capture – write down all the things that require your attention. This tricks the brain into thinking something has been achieved and makes you more comfortable having to sort through it. Clarify – once you have a to-do list, create and classify your tasks into three columns: 1) the area of focus/project (e.g. client work, selling, marketing, management); 2) how much energy is required to complete the task (e.g. deep focus or 20 mins); and 3) time (how much time you need to complete the task). Do - explore techniques to help you focus better (e.g. the pomodoro technique or 1-3-5 rule). Try one of these techniques for 30 days and evaluate its effectiveness. Reflect – carry out a review once a week so you can reflect on your productivity and what's holding you back. Senior management buy-in is vital for Agile marketing to work successfully, according to Mariette Ferreira, head of marketing at FairFX. If they’re not open to a new methodology of working – and putting the customer at the core of everything you do – you’ll just end up having the same meetings but with different buzzwords. Account-based marketing (ABM) is as close as you’ll come to a silver bullet for sales and marketing alignment, says Jada Balster, marketing director at Workfront. If you’re just getting started, try running a pilot, she advises. This gives you the opportunity for testing and learning – as well as being able to choose who you work with, and turning those people into advocates for your programme. Virtual reality (VR) is really good for demoing big, heavy products (e.g. medical equipment) according to NetApp’s senior manager of enterprise and events marketing, Kate Lechowicz. She says VR is more engaging and efficient than brochures – and it's cheaper too. And it's not about how many people try your VR demo; it’s about how many remember. She also reminded us that question number one should be 'What's the point of using this tech?' - don't launch into using VR without a real plan for doing so.